Three Events that You Will Love if You’re a Foodie in Charlottesville! It almost goes without saying that the Charlottesville area knows a thing or two about food. But don&apos;t just take my word for it - the proof is in the proverbial pudding. 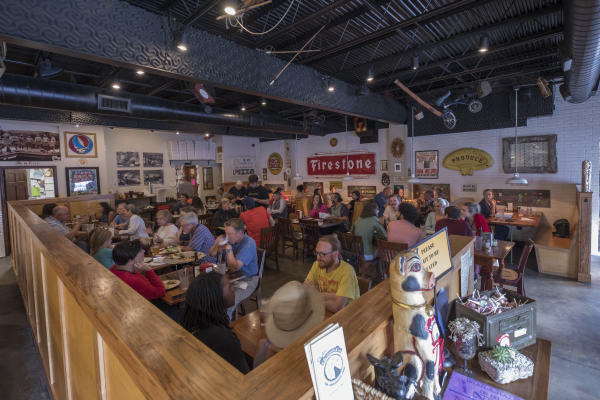 Recently named the “locavore capital of the world” by Forbes and home to Thomas Jefferson, our nation’s “Founding Foodie,” Charlottesville & Albemarle County boasts a wide array of farm-to-table restaurants, plus food-related festivals and events for visitors and locals alike to enjoy throughout the winter season. So grab your appetite and prepare to have your taste buds treated to the foodie experience of a lifetime in the Charlottesville area with these upcoming winter events! 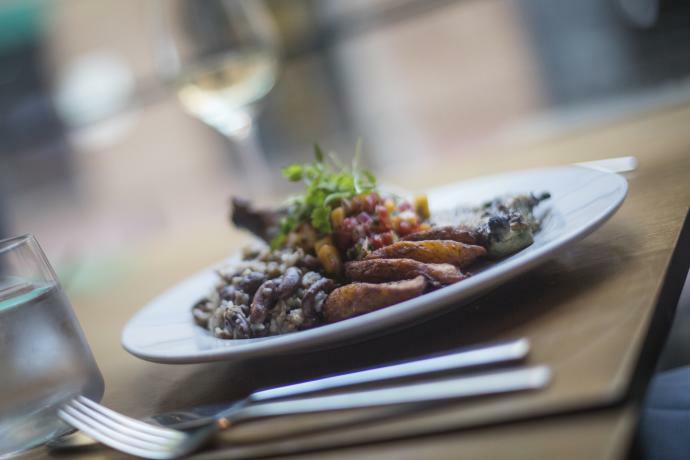 Foodies far and wide will be impressed by the Charlottesville area’s incredible selection of farm-to-table restaurants and eateries during Charlottesville Restaurant Week. This week-long event is a celebration of the region’s obsession with all things food and runs from January 19 – January 28, 2018. 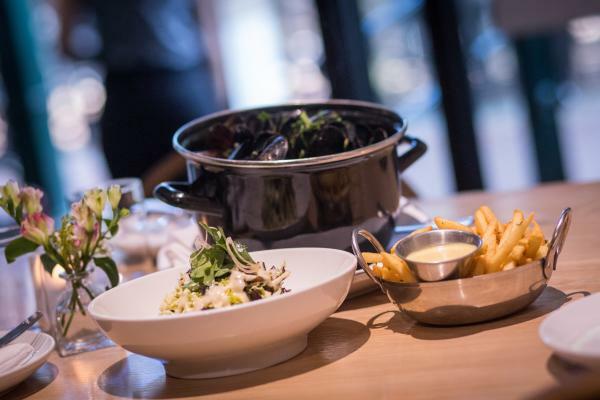 Eager eaters can take their pick from nearly 40 participating restaurants which will be offering fixed-price menus consisting of three delicious courses. Restaurants fill up quickly during this popular week, so reservations are recommended. This is a great opportunity to sample cuisine from restaurants located on the historic pedestrian Downtown Mall, the up-and-coming Midtown area, plus multiple options located throughout Albemarle County. One thing is for certain – you will not leave hungry! Craft beer lovers are sure to enjoy the Know Good Beer SiBEERian Express, taking place at the IX Art Park on January 27, 2018. Throw on your coat and get ready to sample from a selection of dozens of craft beers served from a variety of breweries. Bourbon samples will also be available for tasting at this fun winter festival. In addition to great craft beer and bourbon, participants will enjoy live music and a variety of culinary options from local mobile food vendors. Designated driver tickets are available and children are welcome to attend. Barbeque lovers will have found their paradise at this year’s upcoming Porkapolooza event, set to take place at the Barbeque Exchange on February 17-18, 2018. 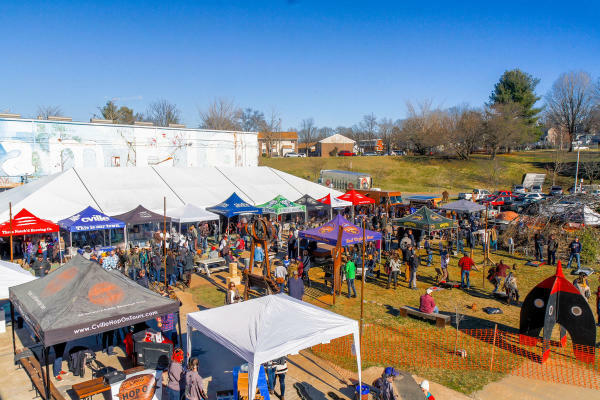 Located a short and scenic drive to the northeast of downtown Charlottesville, this event is self-described as the “greatest porkfest on Earth.” In addition to all the pork you can eat, prepared by the expert pit masters, there will also be live music, face painting, magic tricks, balloon art, and even some yummy treats from local donut legend Carpe Donut. 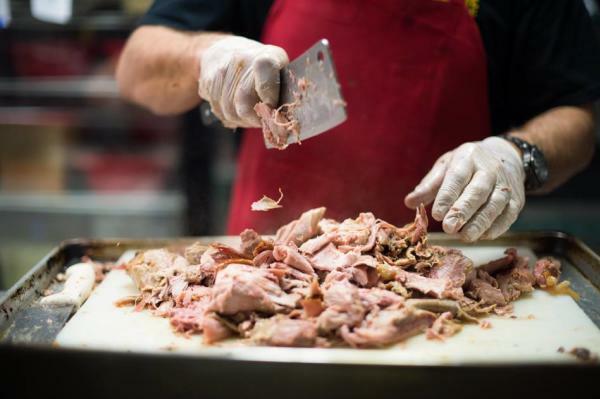 Pork served up at Porkapolooza comes from locally-sourced farms, staying in line with the destination’s commitment to serving up only the freshest ingredients possible. When visiting Charlottesville & Albemarle County for your foodie getaway, be sure to check out the tremendous assortment of specialty food shops like Feast, located in the Main Street Market, or one of the area’s award-winning bakeries like MarieBette Café & Bakery, which has received accolades for its “Brioche Feuilletee” also known as a “Bronut.” This cross between brioche, a croissant, and a donut has gotten recognition from Thrillist, Foodbeast, and Business Insider. Continue satisfying your sweet tooth with a trip to Gearhearts Fine Chocolates for truffles and chocolate creations that you will remember for a lifetime. Plus, don&apos;t forget to stop by iconic Charlottesville area food establishments like Bodo&apos;s, the White Spot at the UVA Corner for a legendary Gus Burger, or Dr. Ho&apos;s Humble Pie for a slice of their simply scrumptious pizza. Additionally, the Charlottesville area is home to a plethora of wineries, craft breweries, artisanal cideries, and even a few distilleries. The region has received several prestigious distinctions for its wines, including being named one of the “top wine destinations in the world” by Wine Enthusiast. Several local transportation companies offer tour options so visitors can safely sample a selection of the destination’s leisure beverages. The winter season tends to have a slower pace, which means you can enjoy your tour without all of the crowds that can sometimes be found during busier times of the year. You may even be able to strike up a conversation with the winemaker. 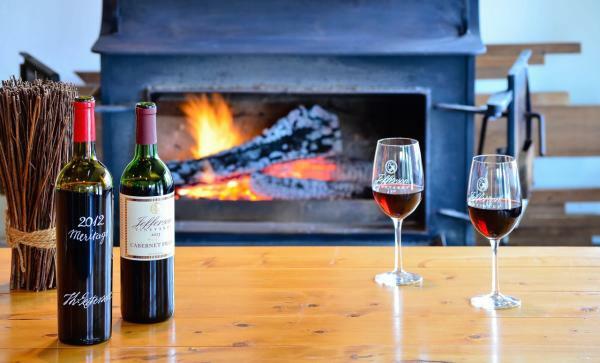 Plus, many of these lovely wineries also have crackling fires going during the colder months. All the more reason to plan a wintertime food & beverage excursion to the Charlottesville area! Clearly, there&apos;s absolutely no need to hibernate this winter. Leave that to the bears. Instead, prepare to feast to your heart&apos;s content at the variety of food-related events in Charlottesville & Albemarle County. For more information about the Charlottesville area, including lodging, restaurants, vineyards, breweries, and the region&apos;s plethora of historic sites, continue to explore www.visitcharlottesville.org. We look forward to welcoming you as you prepare to embark on your epic foodie experience this winter. Your stomach and taste buds will be thanking you for years to come!